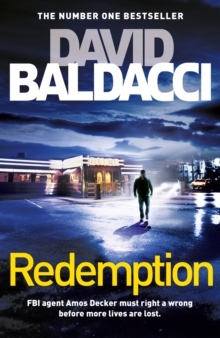 Redemption is the latest memory man thriller in David Baldacci's Sunday Times bestselling series. FBI consultant Amos Decker discovers that he may have made a fatal mistake when he was a rookie homicide detective. Back in his home town, he's now compelled to discover the truth . . . Decker has returned to Burlington, Ohio, for a special reason. It would have been his daughter Molly's fourteenth birthday. Molly was brutally murdered four years ago in their home, along with his beloved wife, Cassie, and his brother-in-law. But then Decker is tracked down by a man he'll never forget: Meryl Hawkins, his first homicide arrest more than twelve years ago. Hawkins has been in prison serving a life sentence but was recently released due to a terminal illness. Decker now finds himself questioning what had seemed watertight evidence at the time - maybe he'd been a bit too keen to get that conviction? Could Hawkins really be innocent, as he's always claimed?If so, the killer is still out there - with a possible connection to a new crime.